Dhanggit's Kitchen: Tropical Santa cookies: Tropical winter delights.. 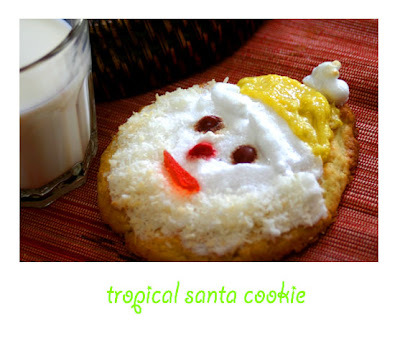 Tropical Santa cookies: Tropical winter delights.. Finally I'm back! After a "short" chilly escapade in Alpes for my birthday celebration I was lucky enough to go back home without any broken or twisted ankle. Snowboarding is not really my cup of coffee but the sensation it gives me everytime I'm sliding and I'm on air is really exceptional. I think I smashed my face twice on the fluffy ground but I was happy, I feel like I'm child again. I had so much fun and energy that I felt the need to release them in the kitchen. With the meager ingredients that I found in the kitchen and with the "frigorifique" scenery we had, I thought why not tropical winter delights? Directions: Cream butter, sugar, almonds and egg. Add the flour and the rest of ingredients. 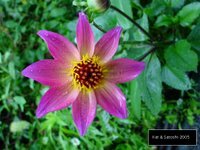 Mix well and form the shape desired. Bake at 175 degrees for 17 to 20 minutes. Decorate once the cookies are cold. For the mango custard creme, beat the yolk with the purée and sugar. Mix little by little the warm milk. Add the cornstarch and cook slowly over medium fire in a casserole until it thickens. Beat the egg whites until it becomes stiff. Add the sugar and continue to beat. 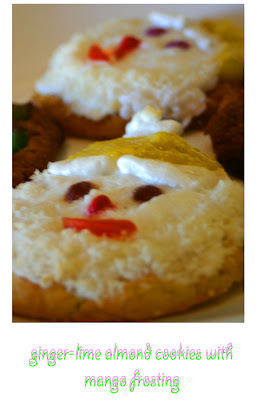 Cover the cookies with the white egg-sugar mixture and place the smarties as the eyes, nose and lips of Santa Clause. The mango creme becomes the santa's hat and the coconut flakes as his beard. Mix all the ingredients and form a ball. Butter tarlettes baking dishes and unroll the pastry. Bake for 20 minutes at 180 degrees. Cream the egg yolks with sugar and mango. Add the vanilla. Mix little by little warm milk. Put back in the casserole and cook over medium fire until it thickens. 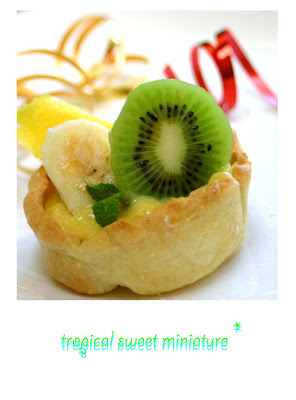 Pour the mango creme custard over the tart and decorate it with cut fresh exotique fruits. In an electric blender mix all the ingredients. 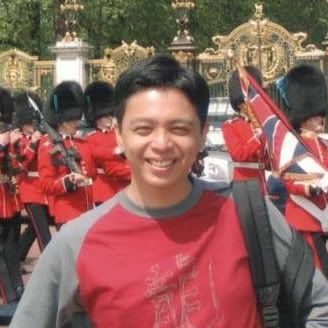 Dhanggit, you cookies looks so gorgeous..... handsome! lol! Refer to Menu for Hope nlease visit www.chezpim.com and get the contact person of your area and let them know what you like to donate. Hey now i need a cup of tea with all these goodies not with the lassie that i can drink like that. They all look wonderfully delicious. glad to hear you came back in one piece. almond, coconut, lime - what's not to like? lovely creations. Great going on the Mango Creme. The cookie is so cute! I love the happy face. 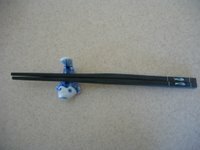 Tks for stopping by my blog - now I know yours too, that is great! 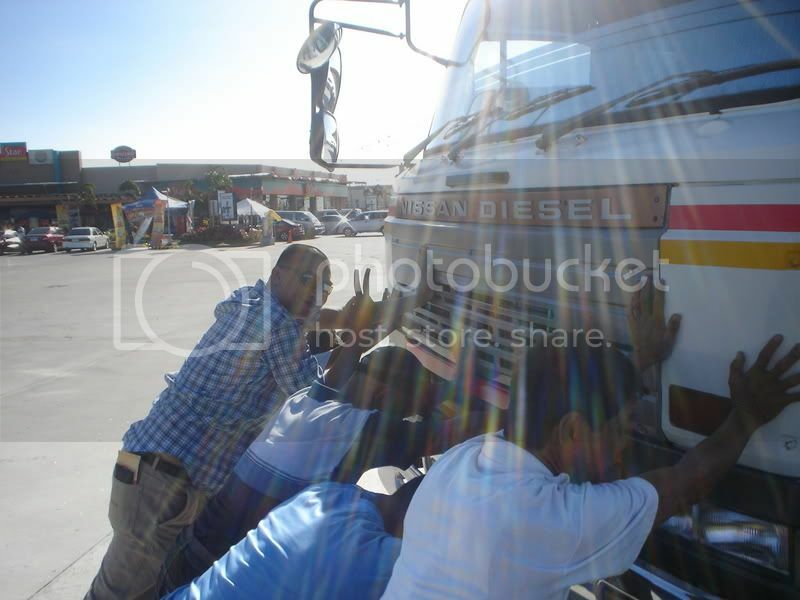 Welcome back Dhanggit! The santa cookies are soo cute and the mango creme custard sounds divine. Snowboarding Chef! Glad you had fun and I'm even happier to know you and your precious spatula twirling hands are all in one piece. Wow, those do you tropical! 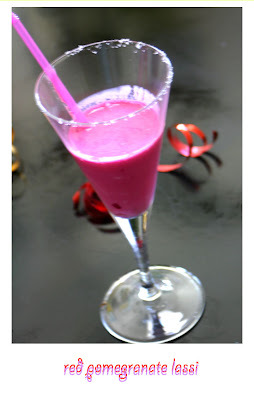 I like the pomegranate drink, too. Pomegranate juice is amazing. I like your food photography. I can't cook but I can appreciate people's passion for cooking and judging by the pictures, who doesn't have a passion for food? That mango tart looks so delicious. Thanks for visiting my photoblog. Great to hear you had a great birthday vacation! Your Tropical Santa Cookies are funny and probably very yummy ! Nice looking tropical cookies. The mango tarts sound so good. Great tropical recipes...so all that snow made you long for the tropics? I love your santa cookie which looks so festive and your sweet miniatures is just an invitation to pick it off the screen...! I want a bite of the cute Santa cookie. Everything you make looks yummy! hey guys thanks to all, in as much as i want to answer you one by one i cant for the moment..my little one keeps on wiggling so much.. i will need to wait she falls asleep before i can :-) thanks and kisses to you all!! Your cookies are so fun!! Bake me a christmas log cake: would you dare?